Gems Stones are used for the decades to rectify the problems arises by planets. No doubt gems stones has changed life of many families so far and are still used by people for success. What is that power which makes a gems stone useful for the people who use it or wear it. Is it a science or some thing else. Everyone wants to know this. In this article we will see the mystery behind the Gems stones power. Every Human being has effects of 12 zodiac signs and 9 planets as per indian or vedic astrology. Every particular date, time is attached with a particular zodiac sign and planet. The horoscope of a person is made as per the birth time. As per the positions of the planets and zodiac signs they become the part of the different part of horoscope. The 12 houses of horoscope are 12 different energy points. Some shows negative energies and some shows positive energies in human life. 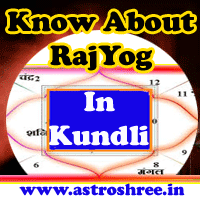 While analyzing the horoscope it is checked that what is the degree of planet and how it is placed in a particular horoscope or kundli. The planet may be strong or weak in any kundli which affects the life of any person. This is the time when a person needs Gems stone. Every Gem stone has different color and quality and thus represent different planets of the universe. Now if any planet is weak in the horoscope or kundli then it is suggested to the person to wear a particular gems stone so that the person will get the power of that planet and get success in life. This is not a fake to use gems stones. There is science behind working of gems stoes. Every gems stones absorb and transmit energy of different types and of different wavelengths which is related with different planet. For e.g. Pearl absorb and transmit energy of moon and thus if a person wear it get the energy of moon. Note: Don't wear gems stone carelessly. Only an experienced astrologer can tell you which gems stone will suits you better. Right gems stone can make your future bright but a wrong gems stone may bring misfortune in your life. So Consult seriously before wearing any gems stone and always wear charged Gems stone for better result.